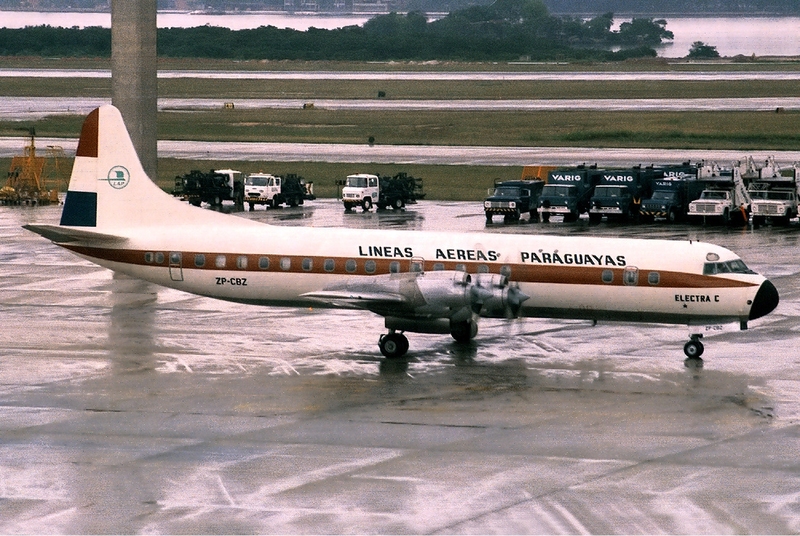 "Air Paraguay" used to be the cheapest way to get to the Southern Cone countries. In the 1980s, when I was often on a student budget, the cheapest way to get to and from southernmost South America was with Líneas Aéreas Paraguayas, the now-defunct “Air Paraguay” that required a stopover in Asunción before continuing to Buenos Aires, Brazil or Chile (photograph Creative Commons). 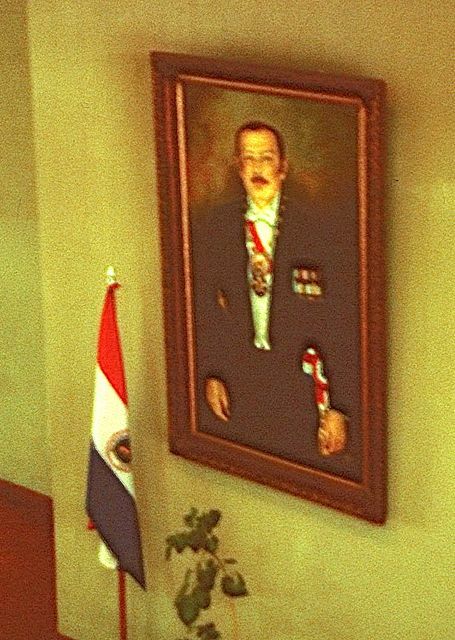 At that time, it was still the Paraguay of the notorious dictator Alfredo Stroessner, whose conspicuous portrait hung in the waiting rooms at what is now Aeropuerto Internacional Silvino Pettirossi (at that time, it bore the dictator's name). I was always tempted to take a photograph and, though a certain menace pervaded the atmosphere at that time, I once managed a blurry shot in dim light, surreptitiously. A portrait of the late General Stroessner in the airport that then bore his name. 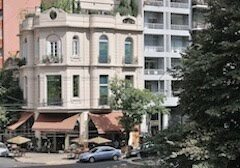 In succeeding years, after Stroessner’s overthrow, I spent quite a bit of time in the country in the course of researching and writing an earlier guidebook to Argentina, Uruguay & Paraguay, for a publisher best left unidentified. The country had no world-class attractions – by 1982, the Itaipú hydroelectric dam on the Brazilian border had obliterated the Guaíra falls, which reportedly were no less impressive than Iguazú – but I still found sights to interest me, such as the former Jesuit missions of Trinidad and Jesús (photograph public domain), across the Río Paraná from the Argentine city of Posadas. 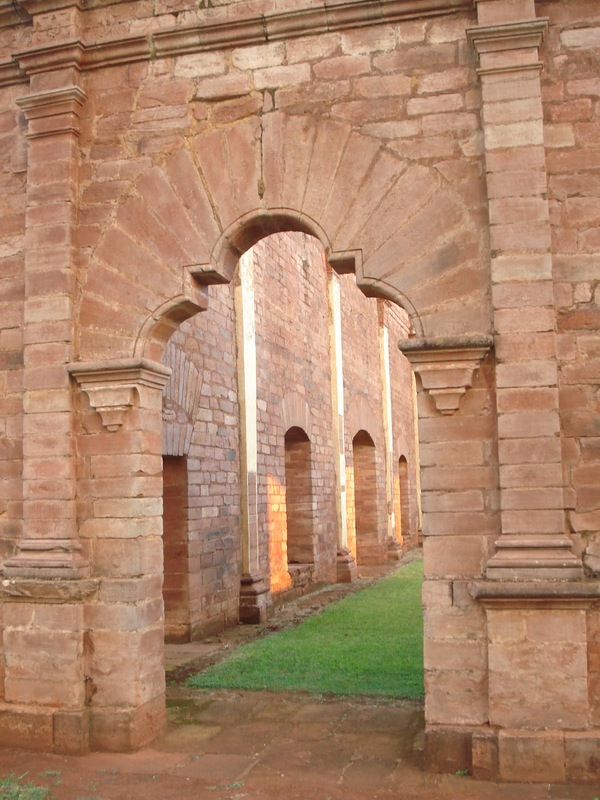 Some of Paraguay's colonial Jesuit ruins are remarkably well-preserved or restored. The former Puerto Presidente Stroessner is now Ciudad del Este. He spoke too soon. Several years later, I was crossing into Paraguay from the Argentine border city of Clorinda, in a small pickup truck that I had shipped from California to Chile. Presenting the vehicle’s papers to Paraguayan customs, I was taken aback – though I probably shouldn’t have been – when the customs official asked me “Do you want to sell it?” The fact is that many vehicles circulating on the country’s highways have been stolen in Argentina and Brazil, and surreptitious sales are not unusual. Since then, I’ve always been cautious in taking my vehicle into Paraguay. Carlos Antonio López was a 19th-century Paraguayan strongman. 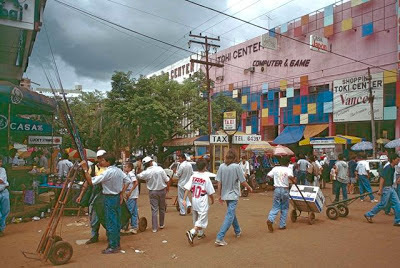 Nevertheless, there’s a certain inexplicable innocence in Paraguay’s pervasive corruption, which is something Paraguayans use to get by. Most recently, it’s been on display as residents of Asunción flock across the border to take advantage of favorable exchange rates – according to the Buenos Aires daily Clarín, the Argentine peso was worth 700 Paraguayan guaraníes a year ago, but today it’s worth less than 500. Prices for commodities like gasoline, wine and even basic food items are 30 to 60 percent cheaper in Argentina. Theoretically there are limits to what Paraguayans can take back across the border but, as my earlier encounter with Paraguayan customs suggested, the rules are flexible. Saludos. Espero que sigas escribiendo más sobre Paraguay!! Thank you for the suggestions. Any such list is necessarily selective, and I would not presume to claim to have said everything worthwhile about Paraguay. For better or worse, it's a country in which I spend far less time than in Argentina or Chile.